Advanced Principles, Techniques of Business Marketing – You’ll be Relieved to Know! Is 90% of All Online Marketing a Waste of Money? The only real way to verify that your marketing works, is to ask every single person who contacts your business how they found your business, and which marketing (initially) prompted them to contact your company. Then see which leads from what marketing resulted in sales. In this article I’ll be sharing my 20 years of full time training of over a thousand business owners has revealed as a result of measuring all their marketing. By working clients for at least 6 months both the clients and myself see exactly what was working, prior to any new or changes to their marketing, and afterwards when new strategies are introduced. Only by measuring and tracking results can you see what’s working and what’s not. There’s no theory, just real world feedback and experience being shared, so stay tuned as some of what’s written here may be controversial! 27 years ago I paid to attend a workshop with the great Jay Abraham, the world’s highest paid and most famous marketer of the 80’s and 90’s. In the workshop he talked about the importance of measuring. I loved the power of numbers and the certainty that came with it. By applying his strategies and those I next learned from Chris Newton, who I call “The Grandfather of marketing training in Australia), I found measuring held the key to success with marketing, as FACTS don’t lie, but what people assume will work and what actually does is worlds apart. In 1997, after entering the business coaching industry I introduced all business owner clients to measuring, to prove that strategies we introduced worked, and what results they achieved. By measuring it revealed astounding facts about marketing, and unfortunately that 90% or more just didn’t work – not for a few businesses, but for every single business clients’ business! Back in the late nineties Yellow Pages ruled. If you didn’t have an ad in, and you were a trade service or manufacturing business, you would miss out on hundreds of thousands in sales. It was the only form of marketing I’ve ever seen that can be completely poorly designed, yet still be cost effective. No other form of marketing has even been produced as badly, and still been profitable. Mind you, not all Yellow Pages advertisements were profitable, or successful because a lot weren’t. 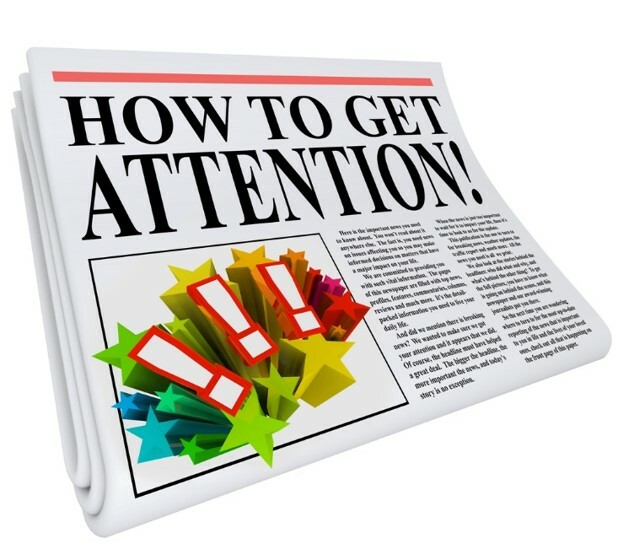 ALL business owners newspaper ads FAILED to produce profitable results. 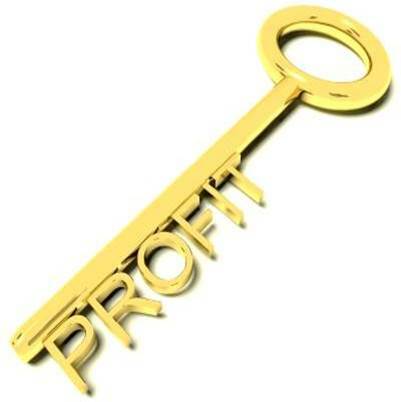 Profitable means the profits paid for the advertising, not sales income. You’re in business to make a PROFIT and that means from employees, from products and from marketing. This is where most businesses aren’t aware of how badly their marketing, advertising and promotions are working, simply because they just don’t measure. They don’t ask every single prospect how they found their business. Collate all calls and track calls to paid advertising to see what works and what doesn’t. For example, a lot of businesses pay for social media posts and blog posts. There is little evidence this works well at all, but its a popular strategy that marketing service providers love to charge and promote. A lot of top marketers laugh at how bad and ineffective the strategy is for the majority of businesses. Adwords is a classic for burning up huge amounts of cash, to produce little to no profit return. For example, the average click through rate (CTR) is around 3% to 5%. Take a plumbing company, with an average sale value of $500 and ads that cost $5 per click. For 100 clicks the cost would be $500, and with 3% of those turning into website visitors, even if all 3 became paying customers, (which is impossible with any volume of clicks) that would mean the business generated $1500 in sales for a spend of $500, which is a LOSS as few plumbing businesses have a net profit margin of more than 33%! In real world, realistic figures the 3% response would obtain 1 in 3 customers, so from the 100 clicks 1 customer would result with an income of $500 for a spend of $500 on advertising, which is a HUGE loss for the business. A great rule of thumb, applied to every service business I’ve had experience with measuring marketing ROI is, that 10% of the income is all that can be allowed to pay for the advertising. If a business generates $1000 in income, it can only afford to pay $100 on advertising to obtain it. If you look a the majority of businesses spending money on marketing, like outsourced blog writing or posting, that money is NOT generating sales profitably in 90% of all businesses. Unless you MEASURE all leads coming into a business, this won’t be seen, so business owners ASSUME their advertising is necessary, but burn a lot of cash for no results and its occurring in over 90% of businesses that have been trained for 20 years through my company. Sometimes the marketing piece is very poorly executed, which sadly is the case with 90% of websites. Just because a website is new and cost $8,000, doesn’t mean its effective as the majority of them aren’t! All websites are nowhere near “optimized” because it’s not the role that involves programming that the development of the website needs. 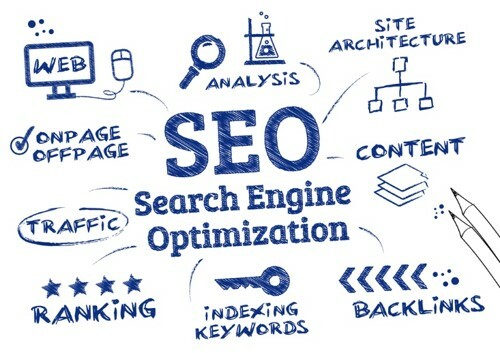 After paying for your website the next stage is to optimize it’s potential, which means more website search engine appearances, more website visitors, more clicks and more sales for your business. That’s the benefit of a little bit of learning on your part. This design FAILS to get a quality and effective message across to its potential customers. Can you spot the mistakes as there are a LOT of them? For a start, the first thing any person sees (and is drawn to) on any website is the image. In this case, its a clothesline! The best and most important image of all to have on every web page is a photo of happy people. Because that’s the outcome of what people buy and its how they want to feel after buying from a business. There is no better photo to use on a homepage of a website than one of happy people. Its the safest one too. A website needs to create “momentum” from a visitor, so the longer you can keep them on the site the better, and the more likely they will stay longer and then eventually contact the business to buy. People LOVE looking at photos of people. Look at Facebook for the evidence! Look at Instagram, Pinterest etc. All of them are all about people doing stuff. Nothing much, and nothing interesting, just stuff! Also, the main photo needs to be the full width of the site/page/browser because that’s the ‘modern’ look, or it has been the look for 4 years now. 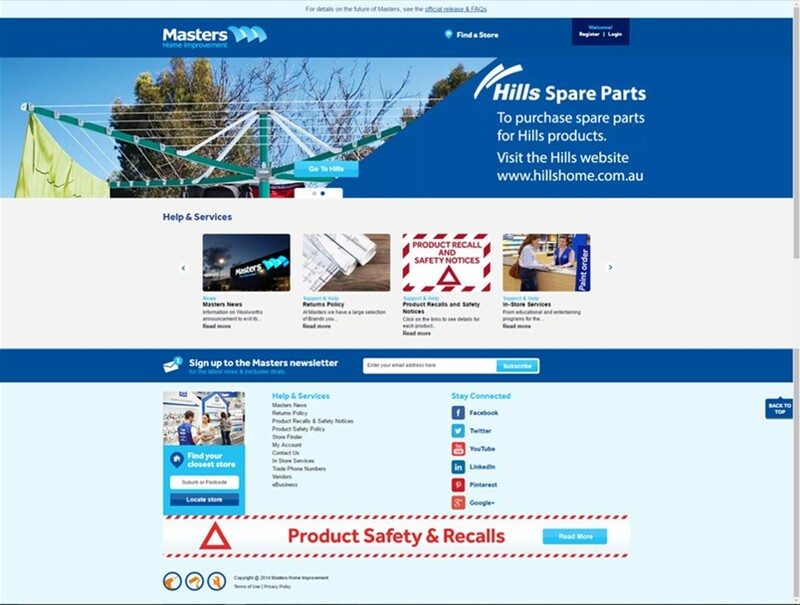 When a website doesn’t have a full width image (like Masters Hardware above), it can create the feeling that the website (and also the business) is ‘out of date’ and therefore ‘out of sync’ with humanity, making the company seem ‘out of touch’ with society. That’s a BIG risk for a company with an older website design (like Masters). Also the photo needs to match the ideal target market age of its customers. 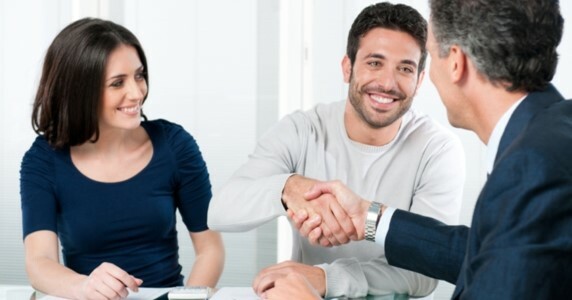 That way your prospects feel like you will relate to them. These are subtle and subliminal communication ‘touch points’ that when all put together can have a powerful effect. What image is featured on your home page? Does it have people in it? Are they happy and looking at the camera? Then is one of dozens of points about how poorly executed marketing is, and why 90% of it is just a waste of hard to get money. These days just about anyone is a website developer, who taught themselves to work with templates in WordPress. The second most critical ingredient of all marketing is the wording or “copywriting”. There is an extreme skill of writing great ‘copy’ and very few marketers (e.g. website developers) are great at it. In fact, a lot of them just outsource it as an extra cost to the business owner. But because website developers know customers don’t like to pay $500 per page for great copywriting, they often don’t charge them extra for an outsourced copywriter and copy the (bad) text from the old website, or they ask the owner to provide the most second critical aspect of a top quality, effective website. Why do copywriters commonly charge $500 per web page and up? Because of the radical difference it can make to the business, potentially in the order of $50,000 to $200,000 per year in sales! Copywriting is one of the least appreciated skills in business, yet its one of the most critical and beneficial to pay for or learn yourself. Yes, you can learn to write great copy, if you pay a marketing trainer (if you can find one). This whole blog post was written in about 23 minutes. It contains very effective copy. Why? Because its written in “point of you” – which simply means, its written in words you find relate-able with variations of the word “you” in it, such as “you’ll” and “you’re”. Poor text (copywriting) on a website contains the word “we” and talks from the business’ perspective, with common phrases like “we have been operating for 15 years”, “we provide the following services” etc. Recognize that sort of text anywhere? Go to any website and you’ll almost certainly find it (except on this site, or any clients that has asked to be trained on copywriting). Its very ineffective and just encourages website visitors to call and ask about price, because there’s no education in copy with facts and features. People buy BENEFITS, rarely facts and features. Most times they aren’t able to see them from the marketing presented to them, so to avoid paying for what they want when they are ignorant and not helped, they take the safe route and buy the cheapest, because they see no value in higher or lower prices items based on benefits, so ‘why pay more for nothing extra’? Are you understanding there’s a whole lot more to marketing (results) than what 90% of businesses are paying for? Do you know what’s even more expensive? You’d be amazed at what a very short amount of education on marketing can do to EMPOWER you to generate more sales in dozens of ways you never knew or have heard about. Right now you may be missing out on $20,000 or $100,000 in sales, due to not knowing certain aspects of website optimization like the points above and a whole lot more. SEO is “so complicated”, or that’s what the SEO experts want to tell everyone, so they can stop people from doing it themselves and pay them thousands of dollars. Did you know you can do your own SEO on your website for free, using free tools that show you FACTS of what’s working and what’s not? SEO is easy (like everything), when you know how, but have you ever paid to learn how to do it? Not paying for education on marketing before you pay for it or attempt it yourself, is like going to apply for an accountant’s advertised job, with zero experience in the industry and with no degree from a university. Marketing requires a bigger training/education time frame than does an accounting degree, but the education has to be practical, with money spent learning and testing to prove to yourself what works and what doesn’t. That’s absolutely critical. You can’t learn great marketing without testing and seeing FACTS to prove what works and what doesn’t. The beginning of success is knowing how to gather facts to base your decisions on, and then knowing what proven principles have to be followed with any marketing that lead to success. You can test 100 ways of doing marketing and never succeed, just like there are 100 websites for 100 businesses in one industry sometimes, and none of them are effective or tick all the boxes of quality execution practices. The Marketing Fast Track is a half day live, online training (video conference style in small groups) – that also gives you 15 videos of further, in-depth education on the most critical elements of effective online marketing as well as the most commonly used. Together with the live training and videos, you’ll have such a powerful education you’ll start seeing improvements in your results within days! That’s because you’ll be introduced to fact producing (free) tools, so you are empowered to make changes to things like your home page, SEO for on-page and text on pages, and see the results for yourself. Can you see how exciting that would be? Thanks for reading this blog. Did you learn some cool things? Please write comments or questions below.